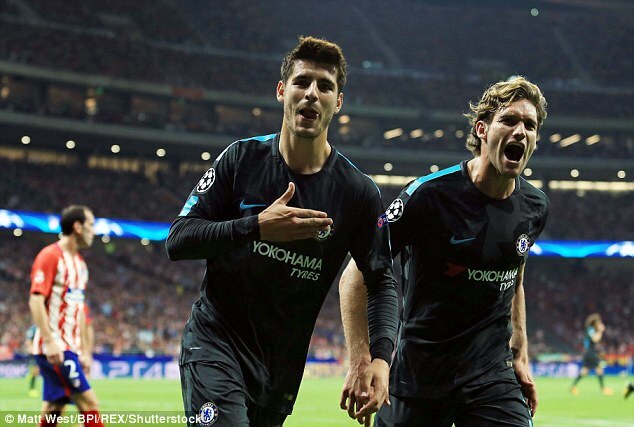 Chelsea striker Alvaro Morata is targeting an immediate return to action despite hobbling off during his side’s 1-0 defeat by Manchester City on Saturday, after the club decided to conduct their own tests on the player. The Spain international pulled up with a hamstring injury at Stamford Bridge after just 35 minutes and an original MRI scan, carried out by the Spanish Football Federation at the Sanitas University Hospital of La Moraleja in Madrid, diagnosed ‘a grade II myofascial injury in the hamstring muscles’. It was thought this could see the 24-year-old miss up to six matches in all competitions for Antonio Conte‘s side, with that type of strain typically keeping a player out of action for up to four weeks. Morata has been sent home by Spain from their squad for World Cup qualifiers against Albania and Israel, but Chelsea are eager to reassess the damage to his leg. The forward, signed for £70million from Real Madrid in the summer, has scored seven goals in his nine appearances so far, including an impressive treble against Stoke but injury appeared to have curtailed his progress. 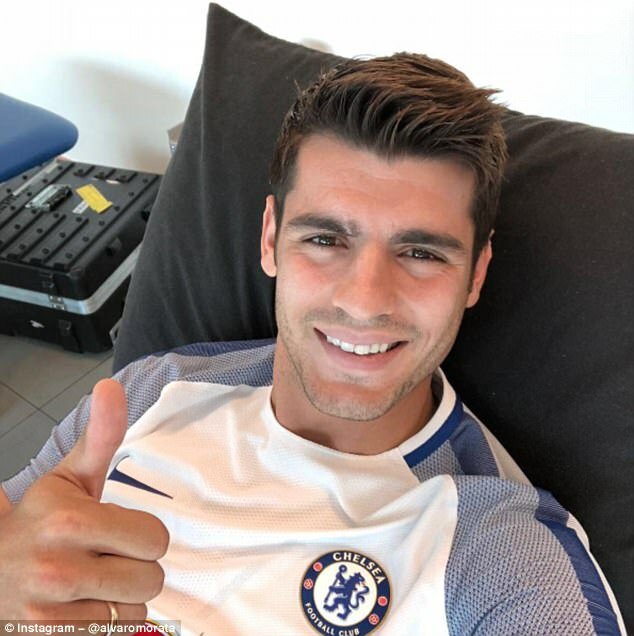 However, Morata had an upbeat message for fans on Instagram and Facebook on Tuesday afternoon, as he gave the camera the thumbs up and suggested he is targeting a return in Chelsea’s very next match – away at Crystal Palace on October 14. The former Juventus striker posted: ‘I have no time to lose! Working hard towards recovery!’ He added a target sign beside the name Crystal Palace. Conte and Blues fans alike will be praying their main threat makes a swift recovery, with Michy Batshuayi left as their only fit and recognised centre forward. The Chelsea boss opted to throw on another midfielder during their defeat by City when the Spaniard was forced to come off, introducing Willian and leaving the Belgian on the bench. Any injury to Morata will be keenly felt at Stamford Bridge with another top striker having recently departed in the form of Diego Costa. The Spain international returned to Atletico Madrid in a £57.5m deal and boss Diego Simeone admitted he was delighted with the signing when speaking to Spanish radio on Tuesday.